Life is pretty busy, we live on a fast paced treadmill. Many of us are juggling work, childcare and managing the home. Sometimes those balls get dropped. For many of us we are most likely to lose control of managing our finances. I don’t mean getting into debt or running short, but how many of us are on top of bills, changing energy supliers and knowing just what direct debits are going out and when. If you feel like you have lost control or want an easy way to see those expenses you need a monthly bill tracker. 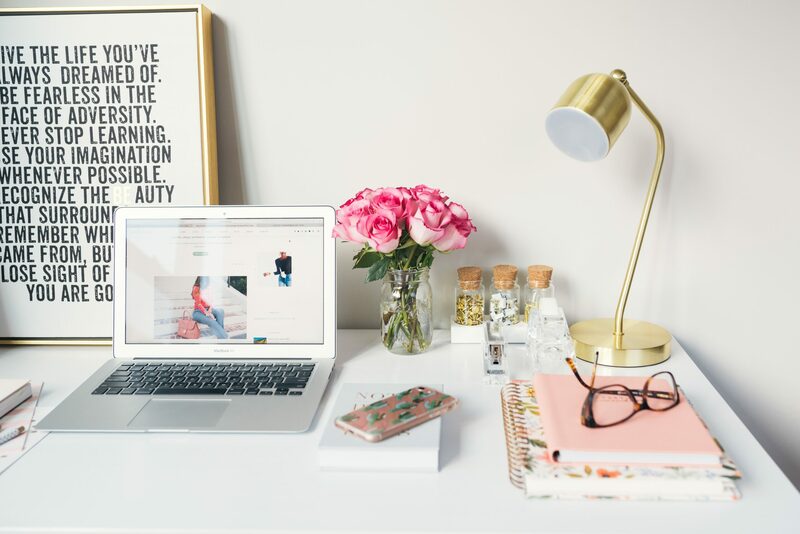 In the back of my mind I know that I have contracts and direct debits that need my attention, yet they are in different accounts and I thought that it would have needed hours to sort it out. Finding those hours between finishing work, taking the children to after school clubs and just cooking the dinner makes trawling my accounts low down on my priority list. £448 million is wasted on unused subscriptions every year in the UK. 84% of consumers reported subscriptions they weren’t aware they had signed up for. 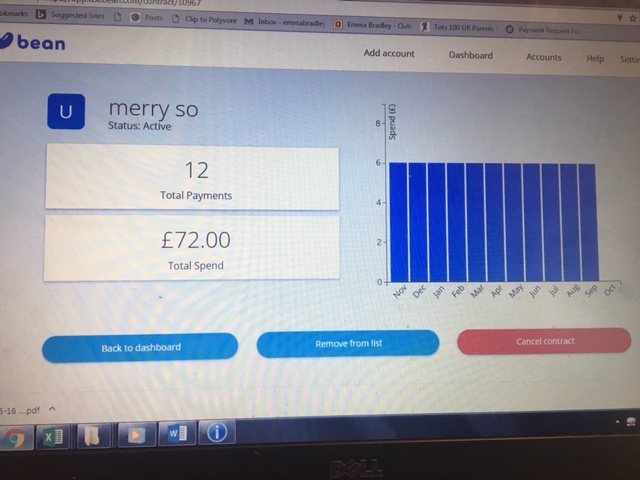 In a bid to clean up my spending and check I am not still paying for subscriptions that I have forgotten about I signed up to Bean which is a FREE personal finanance tool. You simply register on the website and then link your accounts. 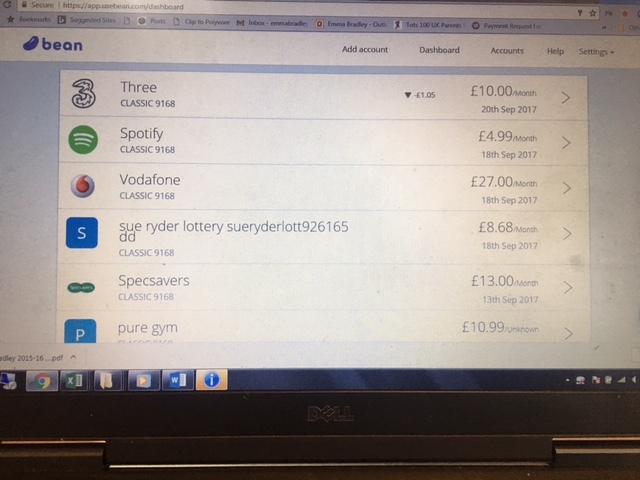 I linked my current accounts and it took under two mins. I could then quickly see what contracts I have and that I am paying out on regularly. The benefit of Bean is that I can pull my accounts together and this means that I don’t have to trawl each separate bank account looking for direct debits. Time saving is very important as I am so busy. Therefore Bean is the best way to save both time and money, two things I value! From looking at my dashboard I can see that I am spending £157.95 a month on contracts which was a little surprising. This does not include bills just those contracts for phones, magazines and luxuries. What I like about Bean is that it is easy to read. It simplifies seeing where you are regularly spending. You can then click on the individual contracts. It will show you how much you have spent on that contract. It then gives you options if you want to cancel the contract. Below shows one of my monthly payments. This one is important to me as it is a child that I share sponsorhip for. A group of bloggers have been sponsoring this girl now for several years. I am proud to see that contract in my dashboard. However, had I decided to cancel this contract I just needed to input a few details and Bean would take care of that for me. Again simple and time effective. One of the reasons cited for not cancelling contracts is because we don’t want to speak to someone on the phone or face to face. 17% of consumers avoid calling customer service because they fear being pressured to stay with a service. Financial worries create a high cognitive load which leads to lowered decision making abilities. Essentially, the greater your financial worries the less likely you are to be able to solve them without help. I would suggest to other parents to take ten minutes to claw back control. You can sign up right now and have this job ticked off. It will make you feel more in control and may even save you some money – go on do it now.